For a good amount of time last year, I started making waffles for my friends and myself almost every Sunday. 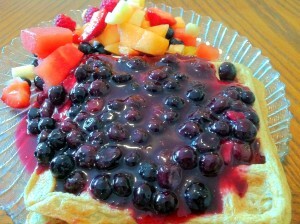 We would have banana oat waffles, fruit sauce, natural peanut butter, and fruit. 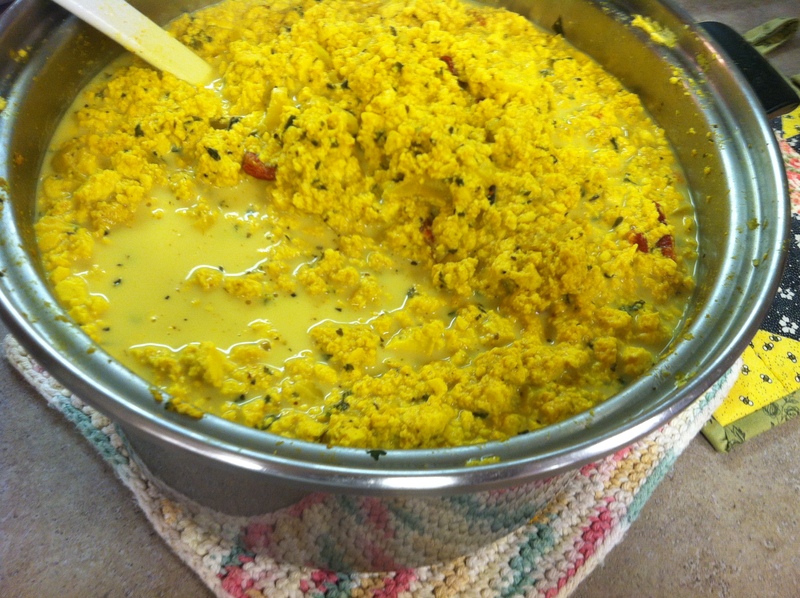 Out of everything I made, all the ladies overwhelmingly liked this dish the most. After sunset, I would go to the store on a Saturday night to get ingredients for waffle breakfast. 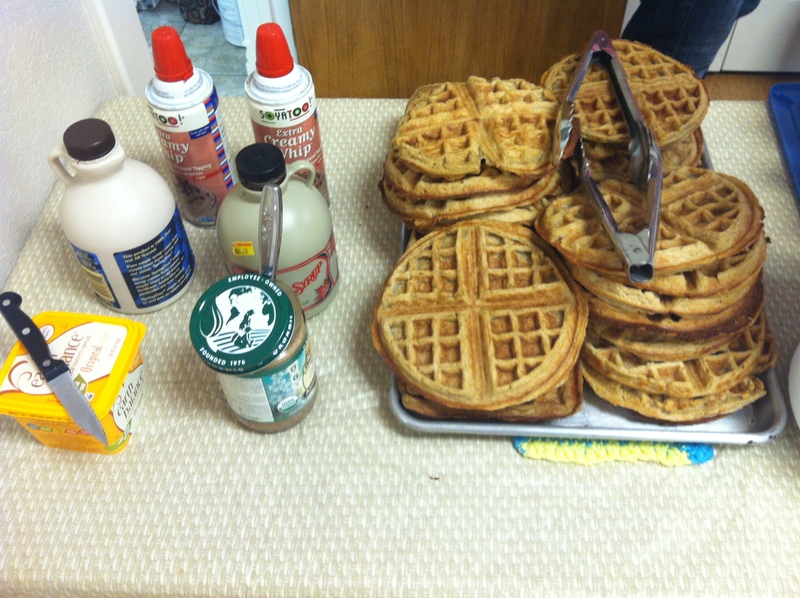 Almost every Saturday night, I would run into church members who would ask me what I would be making, and I would respond that it was my tradition to have Sunday morning waffle breakfasts. They wanted to come to one, so I invited them, and they liked it. They expanded the meal by bringing soy whipped cream and maple syrup. I invited them again, but this was when Dr. Thomas Jackson would be staying at my house. He and his wife came to do a marriage seminar at church. 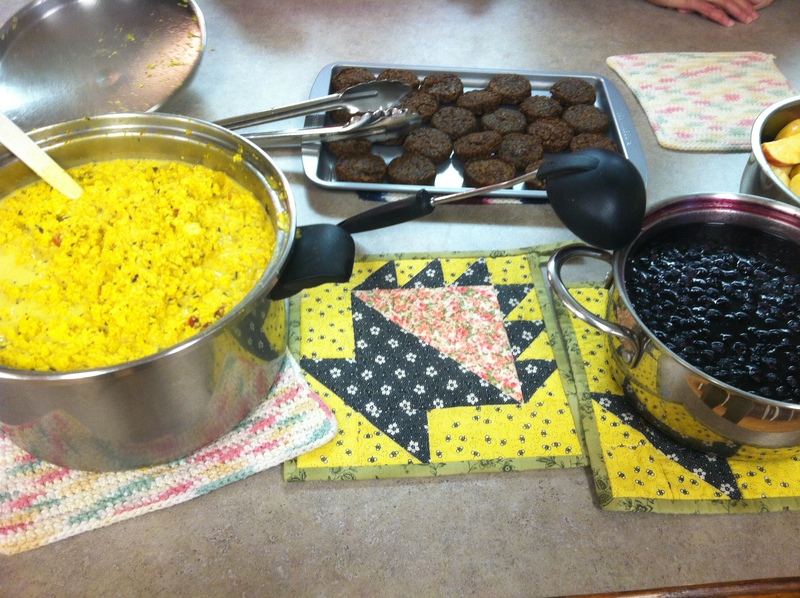 A week or so before they came, another church family invited themselves over to come for waffle breakfast, and they said they would bring scrambled tofu. Now, I had a dilemma. I was going to a small church, I already had a sizeable amount of people coming for waffle breakfast. What was I going to do for the other church members? I invited others on that Saturday night before our Sunday morning waffle breakfast. I asked them to bring something when they came. Sadly, Dr. Jackson pointed out to me that I neglected some visitors, which I did, so I got in touch with them that night. The next thing I knew was that this small waffle breakfast had grown into something for about 25 to 30 people. Early Sunday morning, I got out two trusty waffle irons that can collectively make 5 waffles in around 8 minutes, and I went to work. Thankfully, some waffles were already frozen and premade ahead of time as well. The breakfast was a huge success. Because of the breakfast’s success, we’ve had about at least 8+ waffle breakfasts for anywhere from 20 to 40 people at church on Sunday mornings. I make the waffles, and people bring items like scrambled tofu, soy whipped cream, fruit sauce, almond butter, applesauce, jelly, homemade bread, maple syrup, fruit, and vegan sausages. We’ve had a lot of fun fellowshipping together this year during our waffle breakfasts. Vegan waffles, maple syrup, almond butter, and soy whipped cream. Scrambled tofu, blueberry sauce, and vegan sausages. Up close picture of the scrambled tofu. My church saw this amazing video of a church that actually has an established breakfast ministry for the past two and a half years. They meet the needs of their community, build friendships with them, and then through that, they help people know more about Christ. We have embraced the same mission. 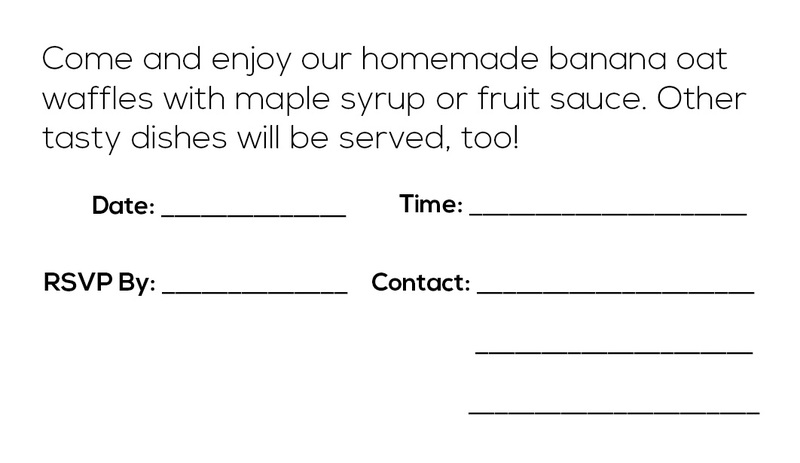 In June, I designed and ordered waffle breakfast business cards that we now pass out to the community to invite them to enjoy in our fellowship. 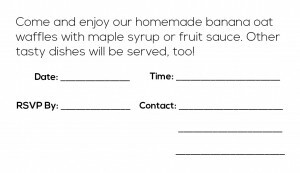 We host waffle breakfasts monthly, and on the cards, it has slots to write the date it will be held, the RSVP time, and the church member’s name and contact details. This makes the card very personal. 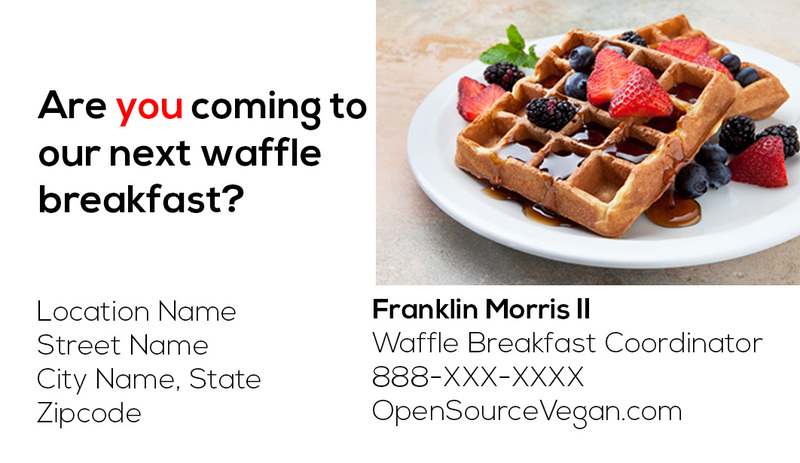 I try to make sure to keep waffle breakfast business cards in my wallet at all times. 1. 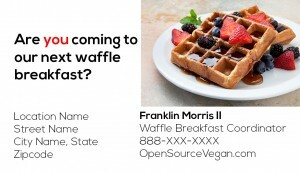 Watch this OpenSourceVegan.com video on how to make these four ingredient waffles. 2. Get the the world’s easiest, crowd pleasing waffle breakfast recipe here. 3. Set a time and location of when you want to host your waffle breakfast. You don’t have to do it for a crowd of people. You might start with just inviting only two people or so to your apartment or house. 4. 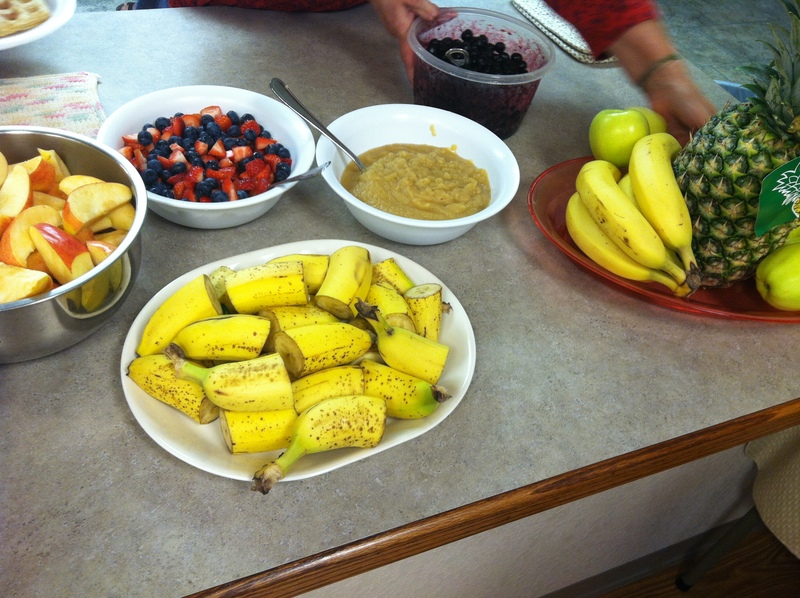 Ask people to bring things like fruit, almond butter, maple syrup, and fruit sauce. 5. 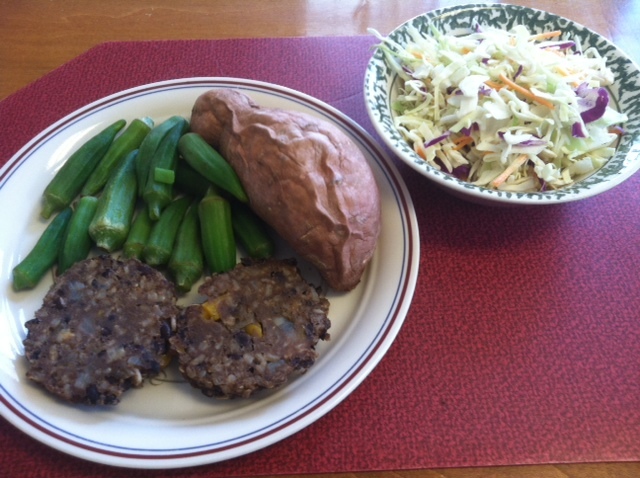 Enjoy the food and fellowship, and then do it again!